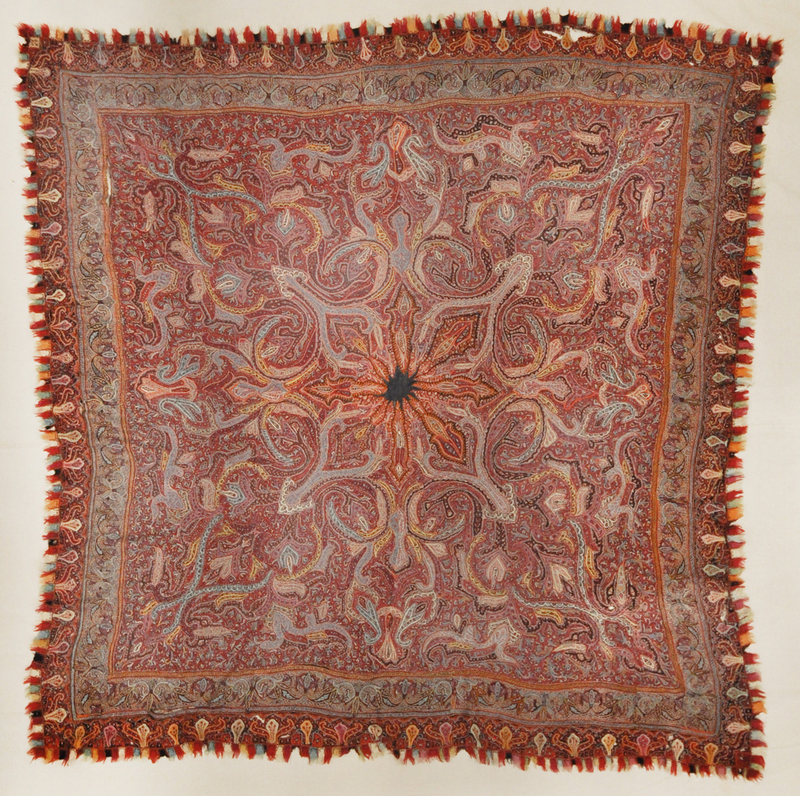 Featuring these Beautiful Antique Embroidered Shawls at Rugs & more. We have the greatest collection of unique antiques. Learn more about some of Michael’s greatest treasures on “Design Santa Barbara Presents Antiquities With Michael Kourosh“. You will learn about these three beautiful Shawls and where they came from. As well as the history behind them. Antique Shawls – Throughout the 19th century, Kerman a province in southern Iran was celebrated for its exquisite Persian / Kerman shawls rather than for carpet weaving. 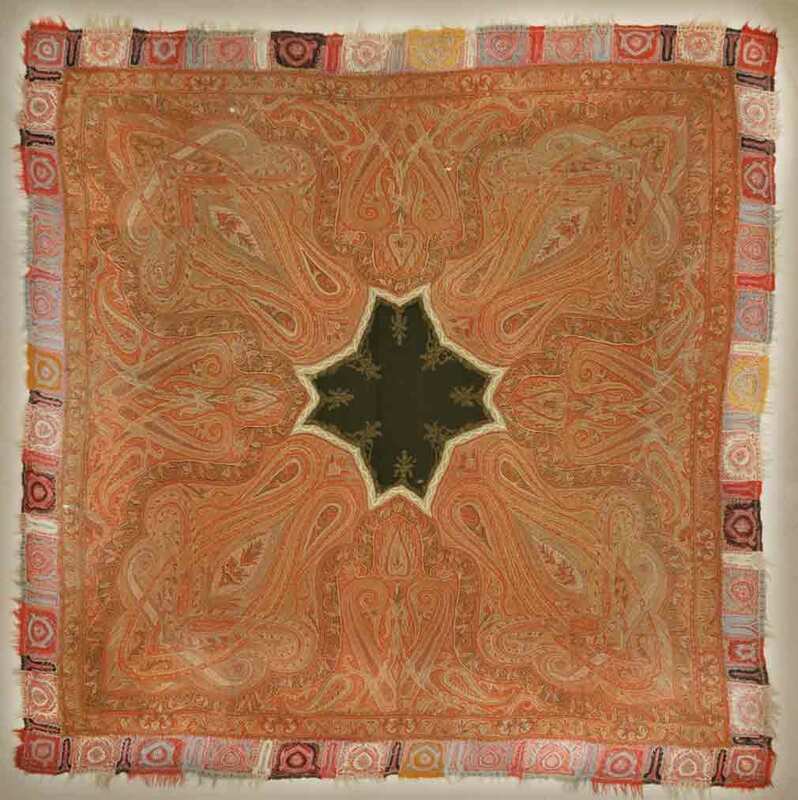 These Beautiful Antique Embroidered Shawls are real works of art. They became complex in their use of traditional Persian floral patterns. Furthermore, French red roses known as Gol Farangue, Botteh, Sarri Botteh, tree of life, vase, nightingale, and garden design. The tight overall pattern and fineness of the weave is complimented by a delicate. As well as, harmonious color palates. 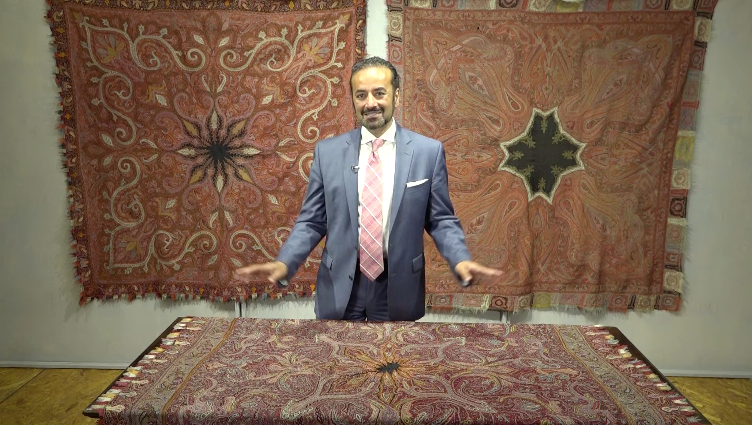 Not surprisingly, the primary designs of Kerman carpets were adapted from these shawls. Because when the growing demand for oriental rug production increased these experienced weavers turned their attention and talents to the carpet weaving. As a result, What is unique about the three antique shawls is that despite them having a very similar design. They come from vastly different regions. Furthermore, Giving the age of these textiles it is highly unlikely that the weavers ever cross pass each other. We want to earn your business! At Rugs and more we will beat any competitor’s price, even online retailers. We offer the lowest price guarantee. If you find a similar item for less we will refund you 110% of the difference. Simply bring any competitors price in and we will beat it. We are the largest source of home furnishings. As well as rugs on the Central Coast and our purchasing power guarantees you the lowest price. Come in and visit our showroom today. Santa Barbara Design Center is a premiere home decor and furniture store. Furthermore, We offer lasting quality paired with style all under one roof and committed to offering excellent customer service. Our goal is to help you complete your dream home that shows off your unique personal style. Whether you are furnishing an entire room or simply adding an accent of home decor. We have something to offer every room, taste and budget. From ancient antiquity to traditional modernity. Complete any custom home style at Santa Barbara Design Center. 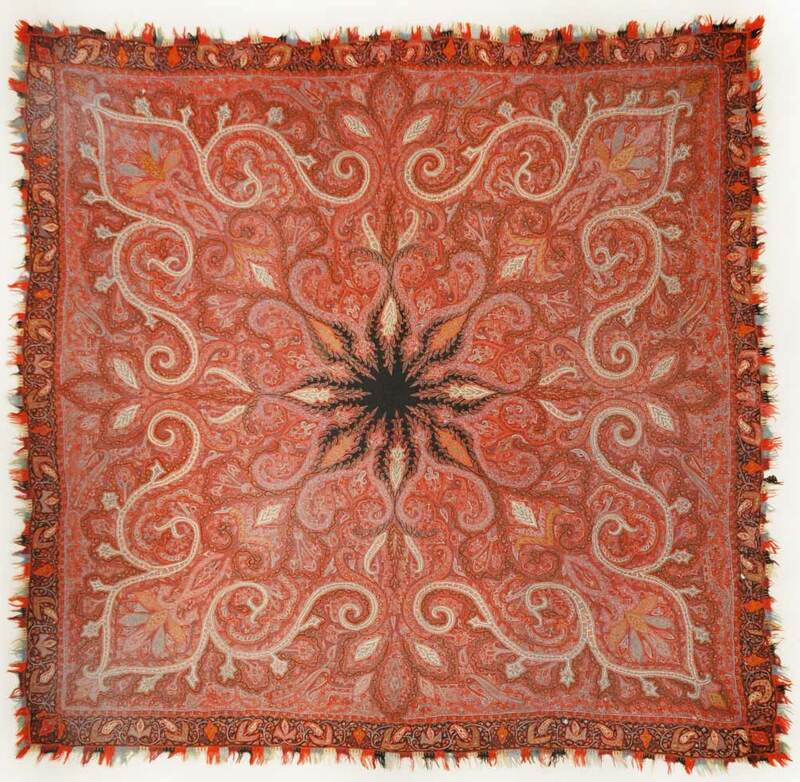 For over 20 years, we have been offering Santa Barbara the best in rugs and home furnishings. Voted “Best Of” for over 20 years by the Santa Barbara News Press. Whether you are a designer or a couple decorating your first home. We remain passionate about serving your home needs.